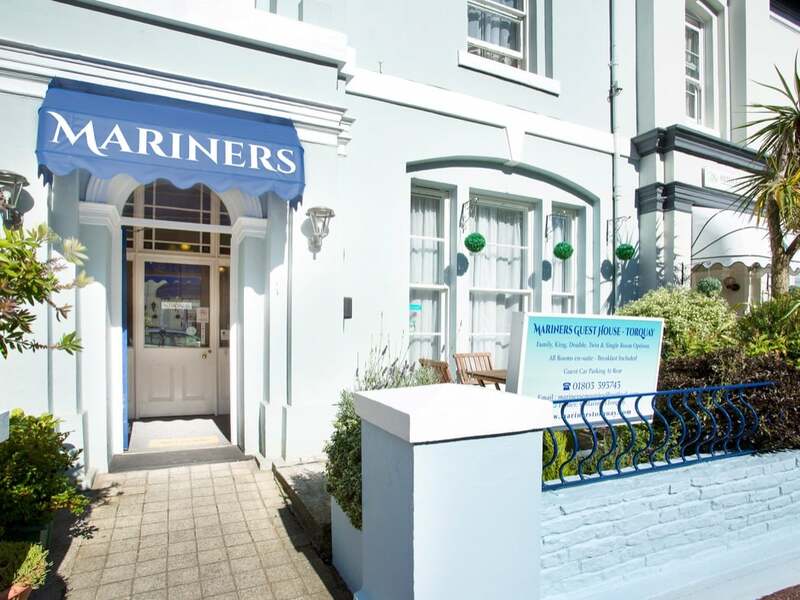 For a friendly, luxurious home-from-home place to stay, check into Mariners Guest House. 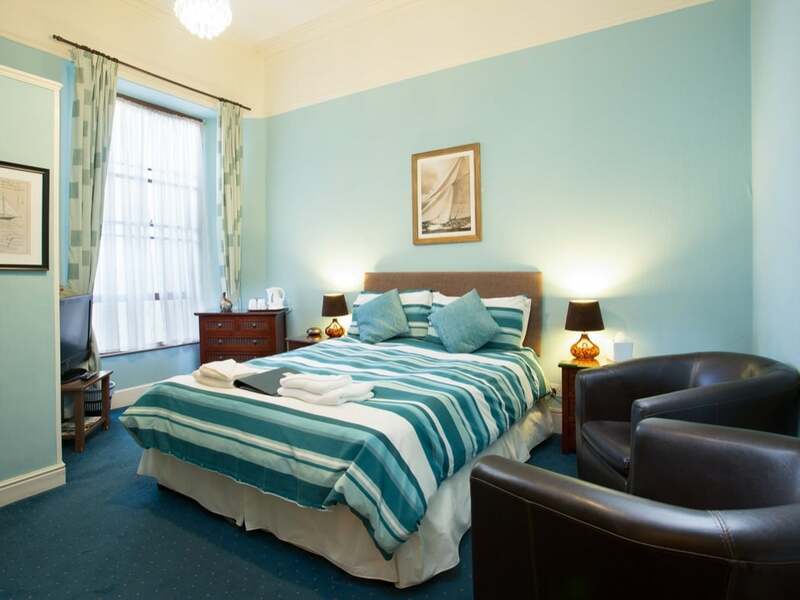 The location is ideal; based in the popular Belgravia area of Torquay; just a 6-minute walk from the seafront and a 10-minute walk from Torquay railway station. You are also near to the Riviera International Centre, the Princess Theatre, Torre Abbey and there are plenty of bars, restaurants and coffee shops to explore in the town centre too. The breakfast comes highly recommended; the full English is definitely the way to go, plus vegetarian options are available too; help yourself to the buffet and order the hot items. Breakfast is served in the stylish ground floor Breakfast Room at the front of the building. There’s also a delightful communal front patio area with seating for you to relax on and enjoy the outdoors. 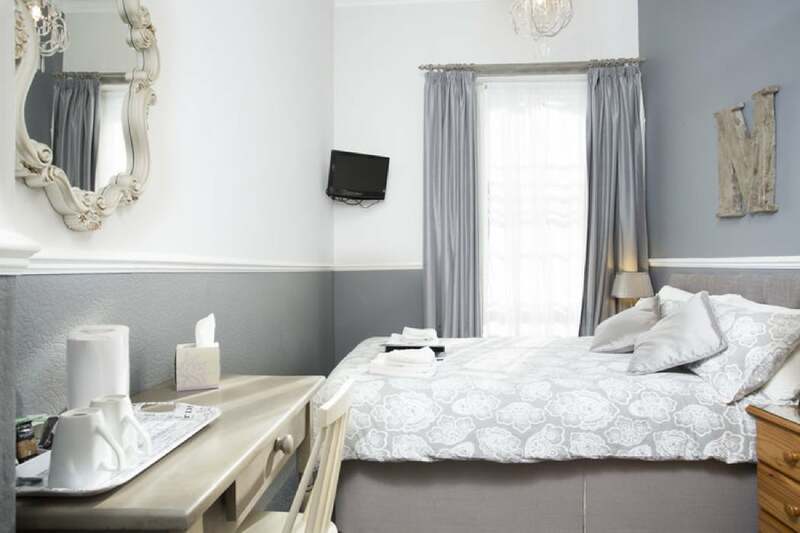 There are seven stylish, individually decorated ensuite guest rooms; amenities include complimentary Virgin Wi-Fi access, flat-screen Freeview TVs, a hospitality tray and complimentary toiletries. Opt for the rooms called Agatha Christie and Torre Abbey if you fancy a bath. The place is immaculate, the little personal touches go a long way with us and it’s clear to see why they were winners of the Trip Advisors Certificate of Excellence in 2016. 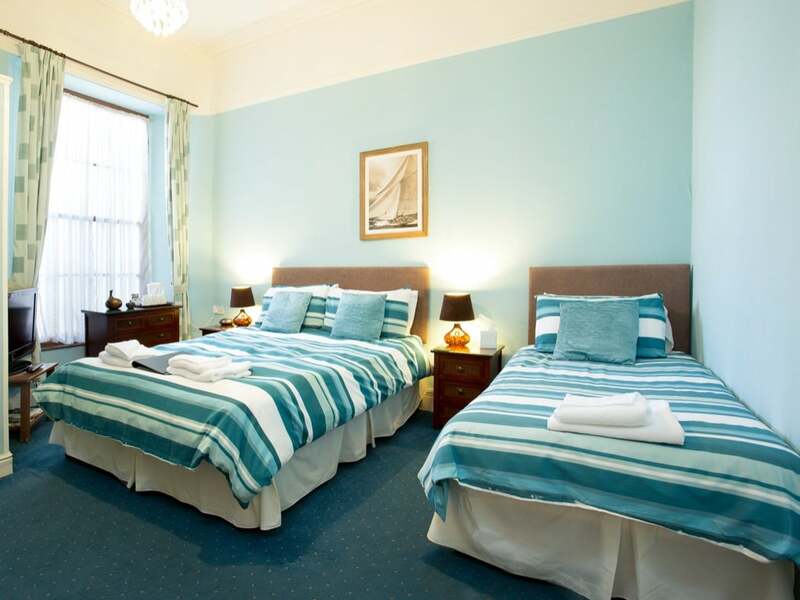 This traditional old hotel is perched right on the seafront in Torquay. There are 132 individually decorated rooms spread over 4 floors. 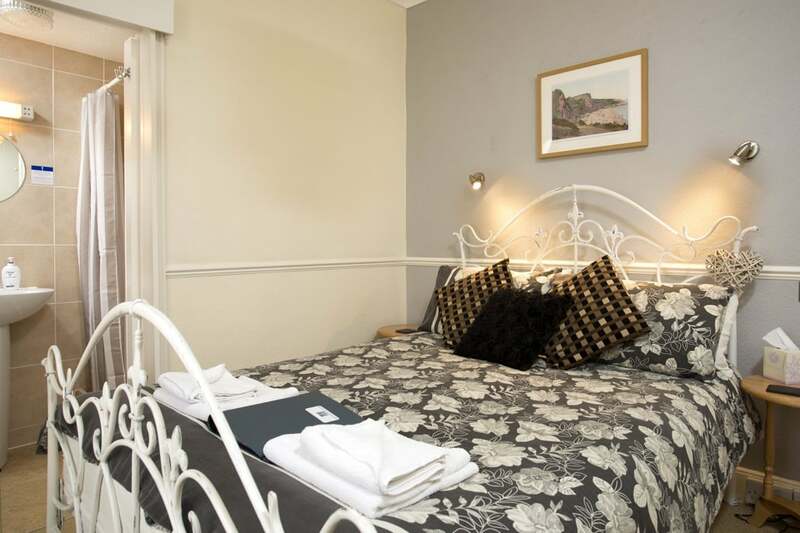 Ensuite bathrooms, tea and coffee making facilities, hairdryer, TV and toiletries are offered as standard; opt for a Premier Room or a Suite if you value the extra luxurious touches. AA rosette dining is available in the elegant Restaurant 1881 or more a more relaxed setting, the Compass Lounge has stunning views across the bay and does a mean afternoon tea. The Leisure Club includes a heated indoor and outdoor pool, multi-gym, hot tub and sauna. For an indulgent treatment, book into the Natural Beauty Spa, there’s also a range of treatments for under 13’s if the kids want to join in too. Nestled amongst rolling Devonshire Countryside just outside Torbay you will find Rocombe Valley Retreat. The idyllic location next to a babbling brook is home to a cosy Shepherds Hut, two beautiful Yurts and there’s even an original Gypsy Caravan. This is a far cry from traditional camping, the glam is very much in glamping here and you will enjoy luxuries such as a comfortable bed with a duvet, electricity and cooking facilities. Enjoy the surroundings from the peaceful hot tub, there’s an ‘American barn’ communal space and a Cob Wood-fired Pizza Oven. The site is just a couple of miles from the coast, adjacent to three coarse fishing lakes and the nearest pub is in easy stumbling distance just a 15-minute walk away. For a rather different place to rest your head, how about staying on board a yacht! Moored in the new Torquay Dock in the heart of Torquay, the Yacht CARMEN sleeps up to 8 people. CARMEN is a BENETEAU Océanis 40 which combines great design and comfort with performance. There is a mains electric feed and she has hot and cold running water with all the luxuries that you would expect on dry land including a TV with a DVD player, a radio and CD player, heating, cooking facilities, a large fridge and fresh towels, pillows and bedding. The highlight of your stay will be the warm summer evenings spent on deck with a glass of something chilled soaking up the cosmopolitan vibe of Torquay.